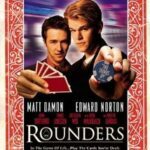 While “Rounders” ended with McDermott headed to the World Series of Poker in Las Vegas, “Rounders 2” has not officially begun production, so there’s no word on specifically how it will continue the plot of the original poker film. Also, there’s no word on whether Edward Norton, Juhn Turturro, and John Malkovich will reprise their roles as Lester “Worm” Murphy, Joey Knish, and Teddy KGB. 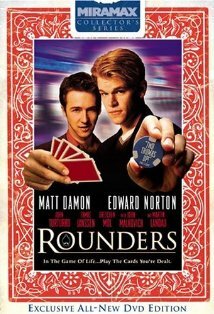 This may be hard for poker fans to believe, but “Rounders” was released way back in 1998, well before Chris Moneymaker’s historic WSOP victory that heralded the poker boom. 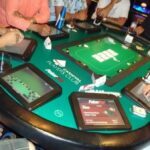 The film became an “instant classic” since poker blossomed in 2003, especially it’s scene depicting Johnny Chan defeating Erik Seidel for the 1988 World Series of Poker Main Event Championship. 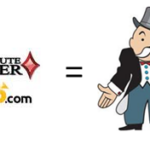 Other poker movies like Mel Gibson’s “Maverick”, Drew Barrymore’s “Lucky You” and Steve McQueen’s 1960s-era “The Cincinnati Kid” also enjoyed some success, but pretty much every poker fan agrees that “Rounders” was the best poker film ever made. With more than 50 million people playing the game nowadays, “Rounders 2” sure has a lot to live up to if it’s to be as believable as the first installment. One thing’s for sure though – if it’s a good film, it’s going to rake in millions more than its predecessor, which had the misfortune of simply being released too early for its time. 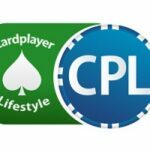 This can be the best poker movie that has been created, i am looking forward in watching this movie, i myself i play poker but through online.